New Government job recruitment notification for various job profiles under Power Distribution Company in Manipur State. 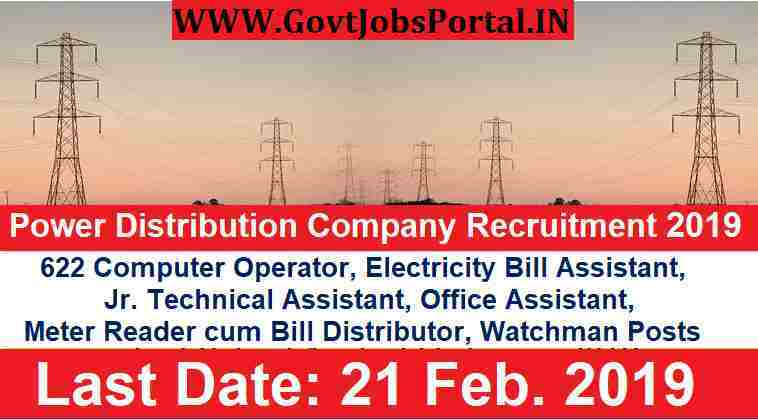 So those who are looking for the Govt jobs in Manipur State can apply for this Manipur State Power Distribution Company Limited recruitment process 2019. There are total 622 vacant positions of various job profiles which are going to be filled up through this Power Distribution Company recruitment process 2019. An official Notification has been published on the official website of the department related to this recruitment process. We also took the whole information from that PDF file only. We explain the whole criteria and other conditions related to these Government jobs in Manipur state below in this article. We introduce various section to represents the information related to these various job profiles. Check out the each section carefully before applying these Govt jobs. All Indian Graduates having good computer knowledge can apply for this recruitment process. 12th pass candidates under any educational stream can apply. 12th Pass candidates can apply for these Government jobs. 10th Pass Candidates can apply for these job profiles under this Power Distribution recruitment process 2019. Age Bond: Applicants age must be less than 38 years for applying any of the above job profile. Those who meet with this age conditions can apply for these Government jobs in Manipur state 2019. Paying Method: Pay Application fee through in cash to the Receipt/issue Counter of MSPDCL, Corporate Office, 3rd Floor, New Directorate Building Near 2nd M.R. Gate, Imphal- Dimapur Road, Imphal, Manipur – 795001.